I must admit that I don’t really scream for ice cream because, as I’ve said before, I don’t have a huge sweet tooth. You won’t hear me hollering for the ice cream truck or scooping a few scoops out of a gallon of ice cream – not even on the hottest days. But it’s been brutally hot these past couple of weeks, so I decided to try an ice cream recipe I’ve been dying to try for some time now. 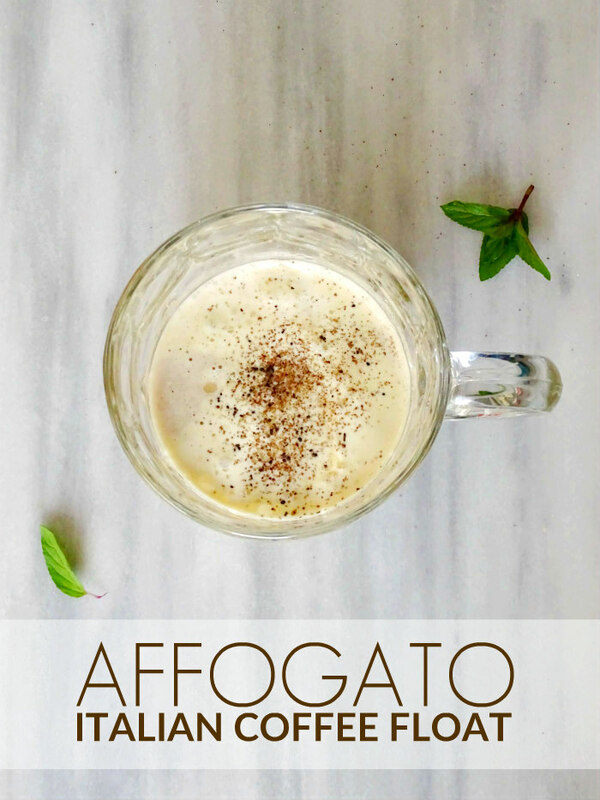 Affogato is an Italian coffee and ice cream dessert traditionally made with a shot of espresso and a scoop of gelato. I did things less traditional and made my coffee float with two scoops of vanilla ice cream and a small cup of coffee. You guys, this version of an ice cream float is amazing! 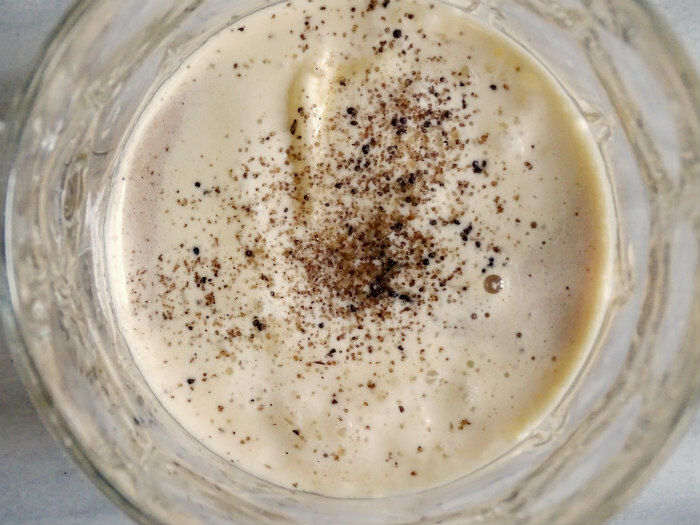 The combination of creamy vanilla ice cream and hot coffee makes for an amazing beverage that you definitely don’t need to wait until dessert to enjoy. As you pour the hot coffee over the frozen scoops, the ice cream begins to melt into this dreamy foam topping, much like a cappuccino. No spoon necessary! Just drink it all up! 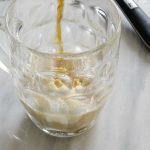 The one thing I truly loved about this coffee float was the fact that it wasn’t too sweet. Usually, I take my coffee with cream, no sugar. Even though there’s ice cream in this drink, it didn’t taste too sweet. It’s a nice balance that has me thinking I should be putting ice cream into my coffee more often! Brew a small cup of coffee. 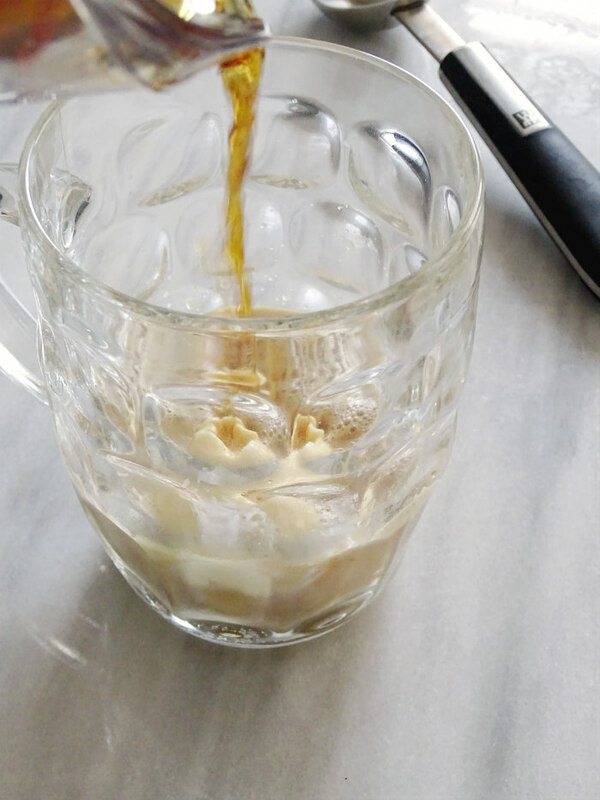 While coffee is brewing, add two scoops of vanilla ice cream into a mug. Pour hot coffee over ice cream. Sprinkle chocolate sugar over the top and enjoy. This was easy-peasy to make and so delicious! It was the perfect iced coffee treat to enjoy on such a hot, sticky afternoon. 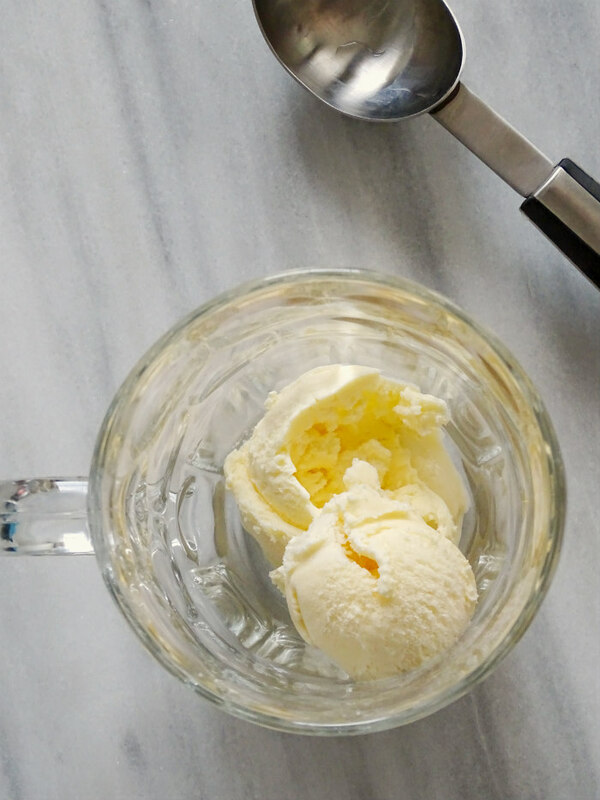 This week we’re sharing ICE CREAM themed recipes and craft projects for Maker’s Mix-Up! Here’s what we shared last week for our JUNK FOOD theme!